Turkey stopped attacks after an economic assassination attempt that hit the national currency, President Recep Tayyip Erdoğan has said. “It was an economic assassination that brought [the dollar/lira exchange rate] to 7.0. We have stopped this attack at some point,” Erdoğan said, addressing ruling Justice and Development Party (AKP) provincial heads in Ankara on Sept. 14. The rate’s climb to 4.6 in the immediate aftermath of the June 24 elections was “understandable” but its steep rise in August was “evidence” of an external attack on the Turkish economy, Erdoğan said. Turkey’s central bank raised its benchmark rate by 625 basis points on Sept. 13 in a move that eased the Turkish Lira to 6.0. 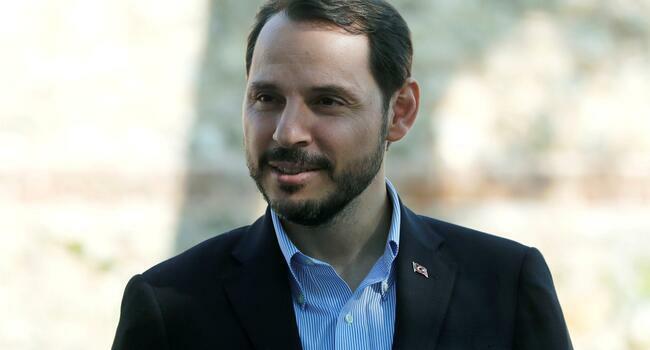 While Treasury and Finance Minister Berat Albayrak described the bank’s decision as evidence of independence, Erdoğan on Sept. 14 continued his criticism of the Bank missing inflation targets. “We will see the result of the Central Bank’s independence. This is my personal phase of patience. This patience has a limit,” the Turkish president said. He also repeated his warning against “opportunist” tradesmen about unfairly raising their prices amid currency fluctuations.